Annyeong! :-) It means hello in Korean! (P.S. I'm not Korean, but I'm a KCulture (Hallyu) Fanatic! :-) ...so, I've been M.I.A. (missing in action)... again!Lately, I've been busy cooking up my son's 5th Birthday Celebration, which would be a school party affair. I will be sharing the details (sooh excited!) by the end of the week....and a blessing fall out from the sky for my blog from my friend at Victoria's Voice. Heartfelt Thanks! ♥♥♥ Please take time to enjoy visiting and reading through her lovely site! So to formally accept this award, I am linking back to the person that lovingly awarded me this recognition...and then the other exciting part is to pay it forward! 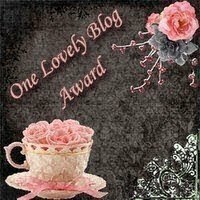 :-) I'm awarding ten other bloggers whom I've newly discovered and gladly share with them this award. Wow, I feel so special. Thanks! Thank you so much!!! Sorry it took so long to thank you, but last week was crazy and I had my baby boy!!!!! Hi, me again. Sorry but this is my first award. How do I put it on my page?